Mirada PLC is an AIM-quoted leading provider of products and services for global Digital TV operators and broadcasters. Founded in 2000 and led by Non-Executive Chairman Javier Casanueva and Group CEO José Luis Vázquez, Mirada's core focus is on the ever-growing demand for ”TV Everywhere” for which it offers a range of software products, notably the Iris multiscreen platform, acclaimed by clients for its incomparable flexibility and optimal time to market. Iris is Mirada´s state-of-the-art TV anywhere proposition. Our multi-screen solution merges the best of traditional broadcast and OTT services, presenting an easy-to-use, unified user experience across multiple devices: STB, PC and companion devices. Iris offers a cost effective solution with the required flexibility, at a very quick time to market. Combined with the Iris Service Delivery Platform, Mirada´s back-end services, operators can really get to know their clients, and therefore provide users with their desired content how, when and where they want. 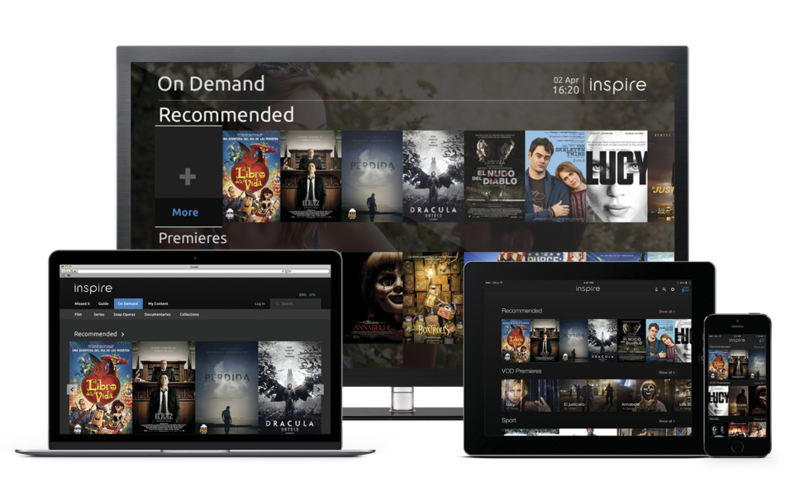 xPlayer is one of mirada’s flagship products, which has been designed to manage and deploy synchronised interactive content to multiple TV platforms. xPlayer manages red and green button interactivity on behalf of a channel, with accuracy to the second, across satellite, digital terrestrial and cable. Red button triggers applications, allowing viewers to interact with content on screen (such as adverts, votes, quizzes, etc. ), while the green button enables scheduling or recordings and reminders. In addition, xPlayer provides EPG triggering to ensure accurate PVR recording. 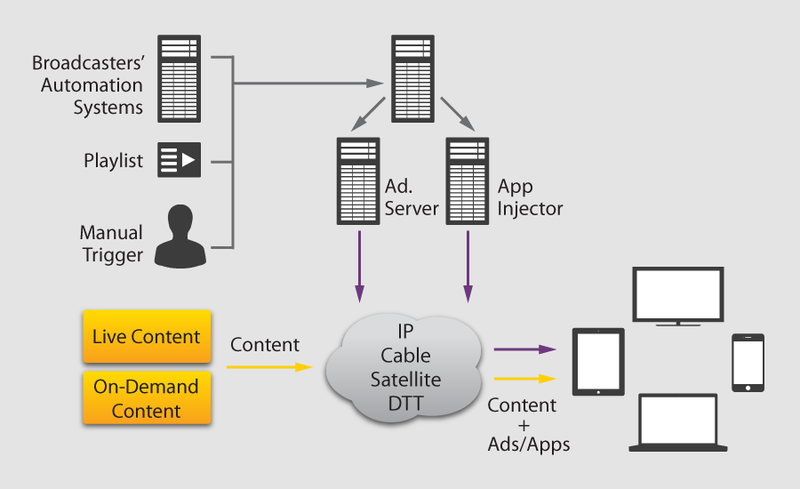 Today´s network operators and broadcasters are increasingly adding interactivity to their audiovisual content as well as delivering it through different platforms: mobile, tablets, web and digital TV. The scheduling capability together with synchronization between interactive services, EPG information and audiovisual content on several platforms is what xPlayer does best. With xPlayer, operators and broadcasters have found the ideal solution to take advantage of additional functionalities without involving a large number of resources in deployment or service management. Navi is a novel interactive navigational solution designed by mirada for SVG browsers, built on Ericsson multi-screen middleware. 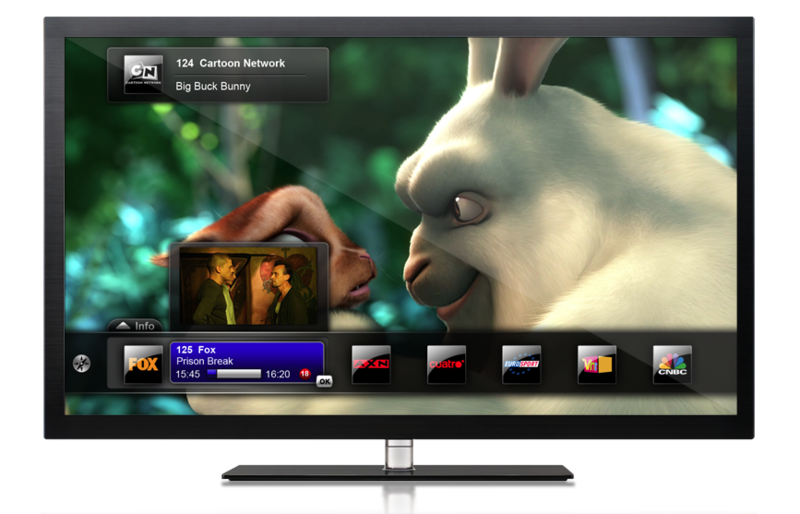 Navi is a complete set of navigational services, including VoD and PPV services, PVR, content promotion and miniguide for linear TV. From quick and easy navigation to next generation viewing, Navi creates an engaging user experience. It is seamlessly integrated with the conditional access solution and the back-end and allows viewers to search, record and play all content stored on the Set-top Box. Frances Coles has nearly 40 years of experience in corporate finance. He was a founder director of corporate finance advisory boutique New Boathouse Capital and later served as a director of AIM listed merchant bank Quayle Munro following its aquisition of New Boathouse Capital in 2007. Prior to that, Francis was a director of Baring Brothers and subsequently Santander Investment where his responsibilities included debt and equity fundraisings and merger and acquisition activities in the European and Latin American markets. José L. Vázquez is CEO and Co-Founder of Fresh, a leading interactive TV player in the Spanish market. He holds a degree in Advanced Telecommunication Engineering (UPM) and an MBA (IESE). He has more than 15 years of experience in Telecommunication and Interactivity markets, where he is an skilled professional. He founded Fresh in year 2000 being the CTO, and became the CEO of the company in 2004. José is one of the leading figures in the Hispanic Digital TV platforms markets. Gonzalo Babío has a broad experience in media and technology sectors. His professional career includes three years working at Arthur Andersen as an auditor, ten years at Electronic Arts as Finance Director working in Madrid, Lisbon, Sao Paulo, Lyon and London, and ten years as Finance Director for The Walt Disney Company Iberia in Madrid. He has a degree in Business Administration from the Universidad de Deusto in Bilbao, an EMBA from IESE Business School in Madrid and a PED from IMD in Lausanne. José joined Mirada as Chief Technology Officer in March 2008, bringing over 18 years of experience in software development companies. In this role he has been responsible for software development, quality assurance, R&D and presales departments. He has a special focus on the Latin America region and has helped to build relationships with big telecoms partners that have led to multiple deployments of Mirada’s products. Prior to joining Mirada, José was Chief Technology Officer at Fresh Interactive Technologies where he managed the deployment of products and services worldwide, working with some of the key partners in the Pay TV market. Matthew has spent over 12 years working in the financial services sector primarily in Equity Capital Markets. Matthew started his career with Royal Bank of Scotland plc as an economist before working at Investec plc. Matthew then joined Charles Stanley Securities as an equity analyst in the support services sector, until he moved to head up the business services research team at Matrix Group Limited in 2010. More recently he has become an active investor in small and medium sized businesses. Mirada's CEO says plan for commercial launches is "progressing very well"